7/20 Memorial Foundation by 7/20 Memorial Foundation, Inc.
By 7/20 Memorial Foundation, Inc.
7/20 Memorial Foundation, Inc. hasn't added a story. Please help our garden grow! The 7/20 memorial foundation is composed of family of victims, survivors, and others directly impacted by the tragedy of July 20th, 2012. We have been raising money to build a memorial that will honor those whose lives were lost or changed forever as a result of the tragic events of July 20th 2012. Together with the city of Aurora, the foundation has created a space where the community and those impacted by tragedy can go to reflect and remember their loved ones, gather strength and feel peace and hope. The garden is an expansion to the Aurora Municipal Center's Water-wise Garden located at East Alameda Parkway and Chambers Road. We also strive to be an inspiration of strength and resilience to others who have been impacted by not only mass violence, but any personal tragedy. We continue to raise funds so that we may pay love forward to survivors and by reaching out to other communities who may experience mass tragedy. We could not have survived the journey without the outpouring of love, kindness and generosity that were sent after that tragic night that took the lives of Jonathon Blunk, age 26; Alexander "AJ" Boik, age 18; Jesse Childress, age 29; Gordon Cowden, age 51; Jessica Ghawi, age 24; John Larimer, age 27; Matt McQuinn, age 27; Micayla Medek, age 23; Veronica Moser-Sullivan, age 6 and her unborn sibling; Alex Sullivan, age 27; Alexander Teves, age 24; and Rebecca Wingo, age 32. It was a rough 3 years waiting for the trial to begin, but once it did, we again received emotional support from everywhere. "Love To Aurora" launched a facebook and twitter campaign in a show of support. Even with the support, it was difficult to focus on planning and raising money for the memorial. Once the trial was behind us we were able to move forward and focus on something positive, a memorial that will honor not only loved ones lost, but also the strength of the survivors, heroes, the community and everyone who was impacted by the tragedy. Thanks to your generous donations we were blessed to reach our fundraising goal in 2017 and selected Douwe Blumberg as the artist to build our permanent memorial. He was inspired by the "1000 Cranes for Aurora" sent by Nate Williams of O’Fallon Missouri who asked his community to write notes of encouragement and fold a crane to send to us. Douwe created "Ascentiate " which was officially dedicated on July 27, 2018. There are 83 cranes representing the 70 who were injured and the 13 lives lost. 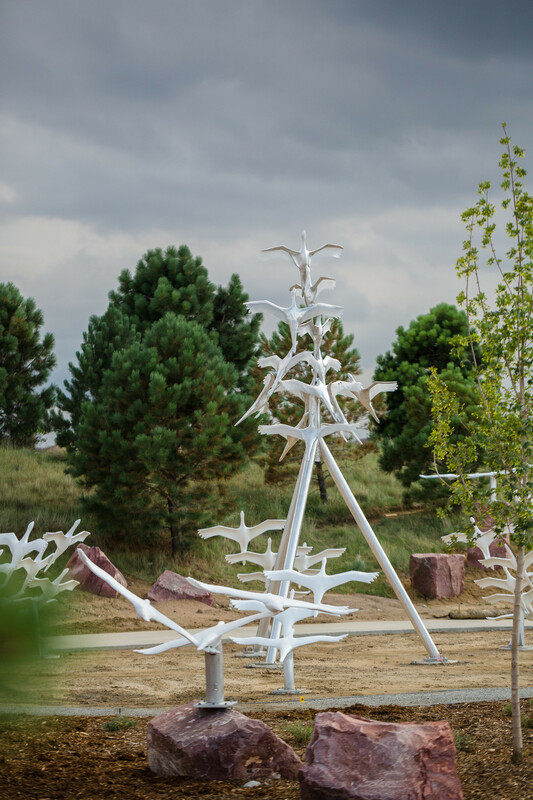 The 13 clear cranes in the center of this piece are translucent to honor the lives lost. His piece also represents the Community and all affected as each of the cranes that contain a canister to be filled by loved one's families, first responders, survivors and the community. 7/20 Memorial Foundation, Inc. hasn't posted any updates yet. 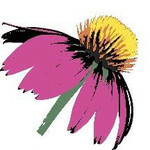 7/20 Memorial Foundation, Inc. is managing the funds for this campaign. 7/20 Memorial Foundation, Inc. is a verified organization.